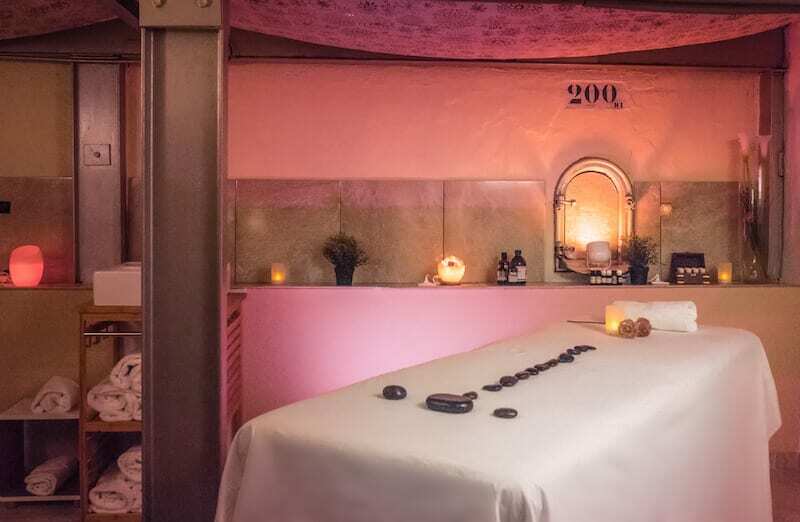 We offer a range of massages and treatments in our custom-designed massage space – please ask Emma for details. 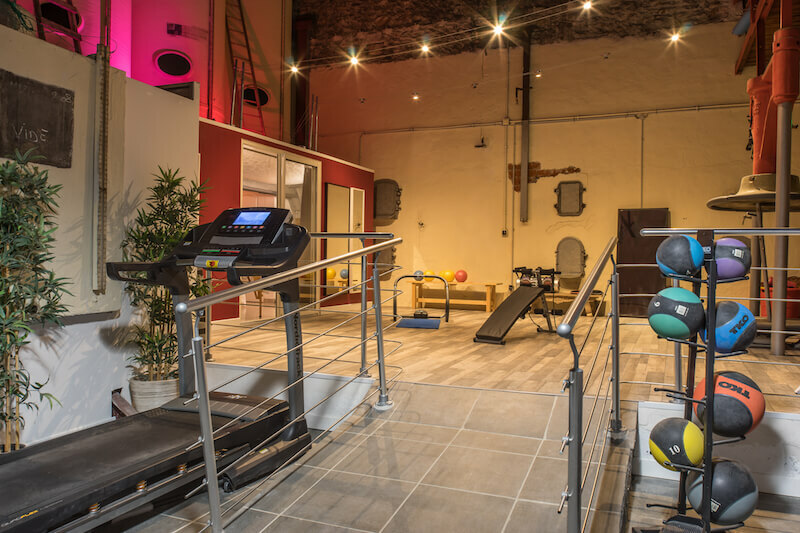 Meanwhile, our quality on-site gym and studio provides the perfect adults-only destination for your work-outs and exercises. Put down your croissant and pick up a dumb-bell. Our two 10x4m heated swimming pools are framed perfectly by Chateau de Rey and a selection of palm trees. After all, why compromise on style just because you’re on holiday with the kids? Always heated to at least 28 degrees, our pools feel so great that the children don’t ever want to come out! Our first pool has a depth 1.6m with access steps down one side. Our second heated pool has a shallow end (90cm) leading down to a deep end of 19m. You’re Near the Beach Too! And remember, although we are hidden away in a tranquil vineyard setting, Imagine Roussillon lies just 4km from the glorious sandy Mediterranean beaches of Canet en Roussillon – just 10 minutes’ drive away. Most other family friendly resorts lie deep in the countryside, rather too far from the madding crowd. That’s great for a couple of days, but do you really fancy a 2 hour round trip to the beach? We think that your baby friendly holiday in the South of France should mean no hassle and as little time as possible in the car. Right in the heart of our little family-friendly resort you will find our fabulous self-service bar with landscaped terrace. Relax just a few metres from your apartment and unwind with a coffee or a lovely glass of rosé, either en famille or with other guests. Evening meals are also served here on those balmy Mediterranean summer evenings. Wifi comes as standard. Our trampolines, swings and zip wire never fail to delight our young guests. 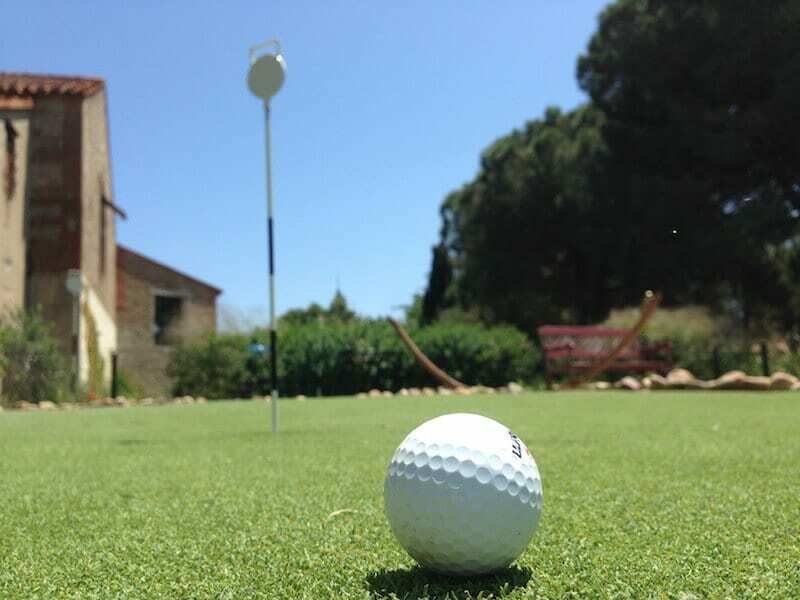 And when you add in a 4-hole putting green, boules court and free bike hire, it’s clear that Imagine Roussillon is paradise for kids. 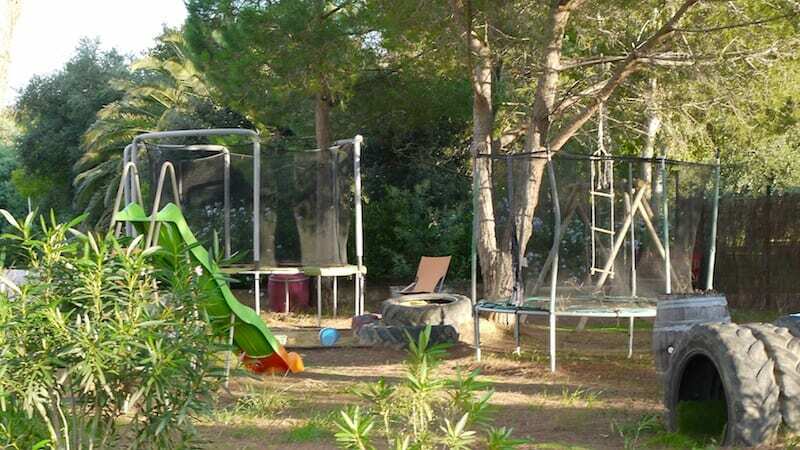 The play park is shaded by mature pine trees, and is within our secure perimeter. Our open barn offers table tennis, table football plus various other games, bats and balls, so even the slightly older children will be kept amused for hours on end. And of course we supply all the buckets, spades and parasols you could possibly need for your trips to the beach. 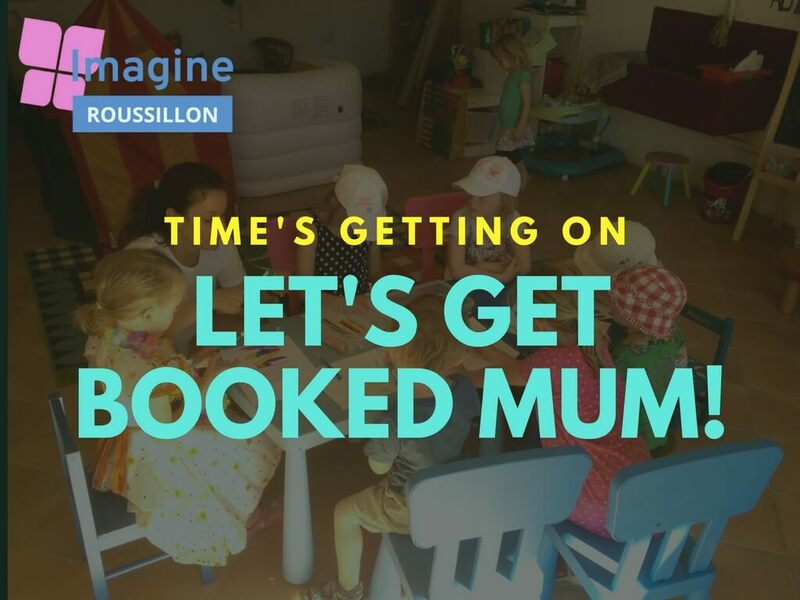 So there you have it – we’ve offered you a flavour of what your fabulous child friendly holiday would be like here at Imagine Roussillon. We are often asked if we are similar to certain other country-style kid friendly resorts a bit further north in France, and the answer is yes, we are. Like them, our focus is purely on families with young children up to the age of 10, and that’s what we’re good at. Unfortunately one particular resort has threatened us with legal action (yes really!) if we even mention their name, or the fact that our prices are up to 50% lower than theirs, so we can’t go into any more detail except to say that we offer a brilliant alternative, at a much lower price and in a fabulous coastal location. Help us stand up to the bullies and get the message across that little Imagine Roussillon provides a fabulous alternative. We are half the price in peak summer – and in a better location too! 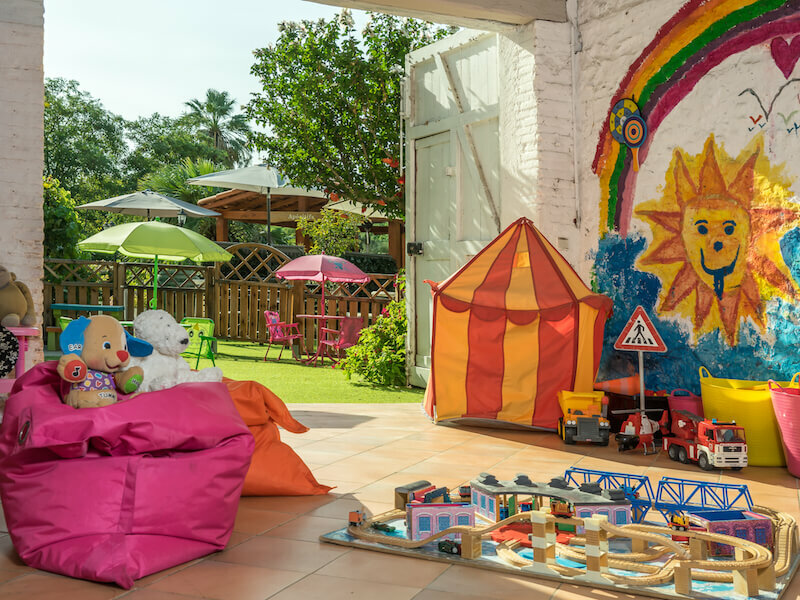 We have two young children ourselves and know exactly what works and what doesn’t work on a family holiday, so please do feel free to drop us an email or give us a call if you have any questions that you would like answered. 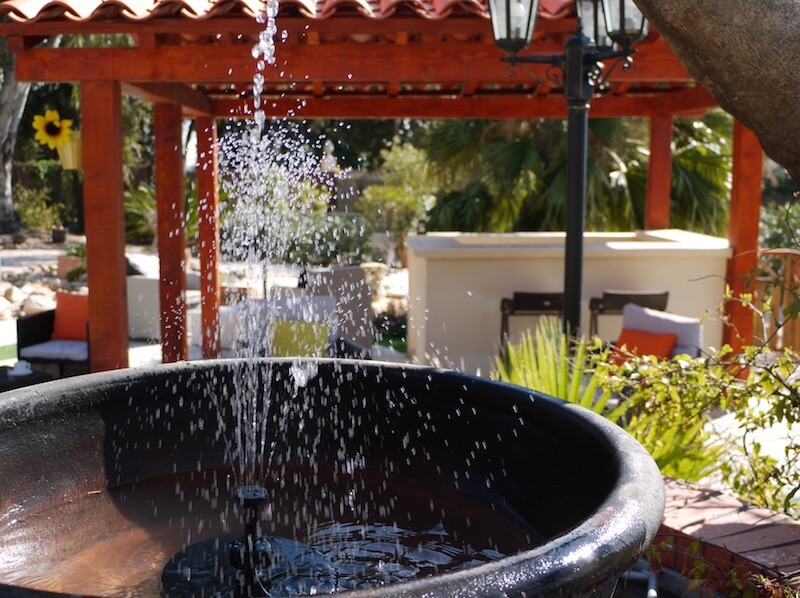 It’s important to us that you enjoy your stay here and leave with lots of happy memories. That is why we are careful to offer the optimum blend of location, accommodation and facilities – in effect, to provide the best bits of hotels and self catering, but without most of the annoying parts such as being stuck in a single room! 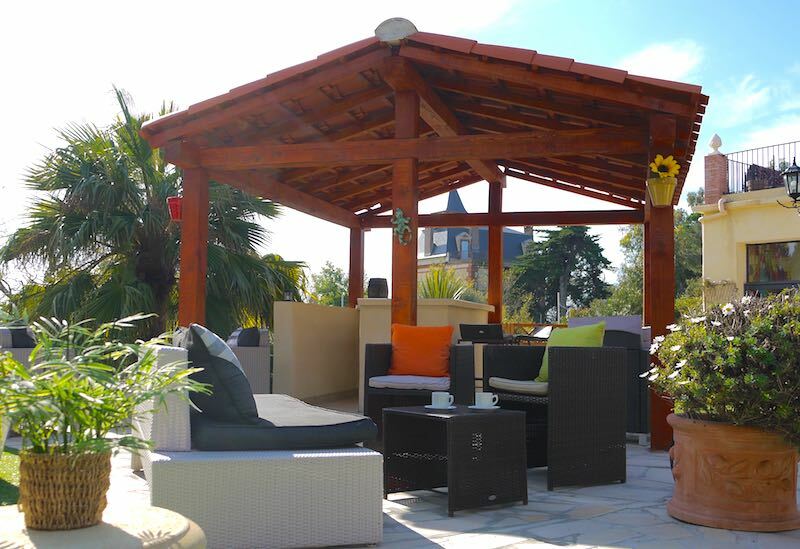 South of France Family Friendly – with a Difference! Plenty of hotels tell you they’re family friendly or child friendly, but you just know that were will be tutting couples lurking around every corner. Well, not here! 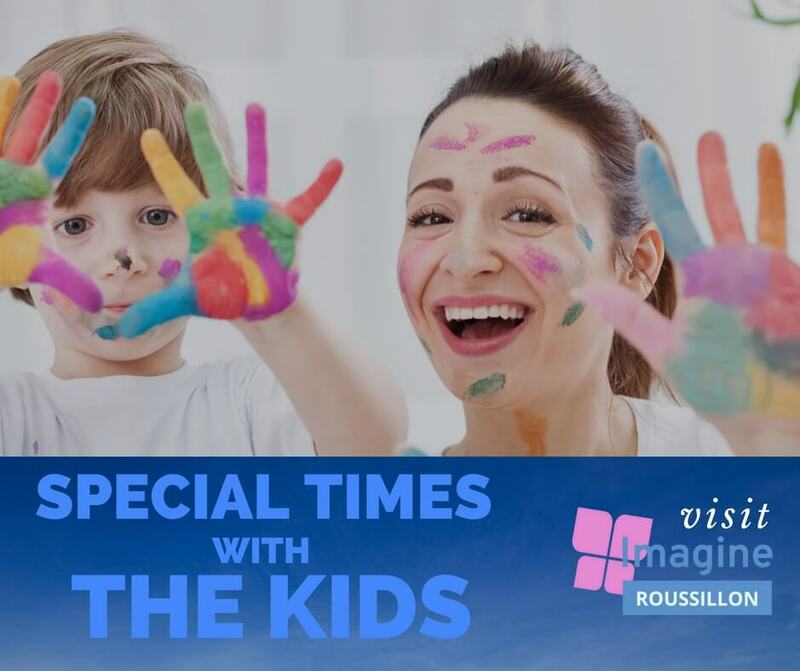 Everyone at Imagine Roussillon is just like you – a family with young kids, all of whom sometimes make too much noise, spill things or say something embarrassing from time to time. 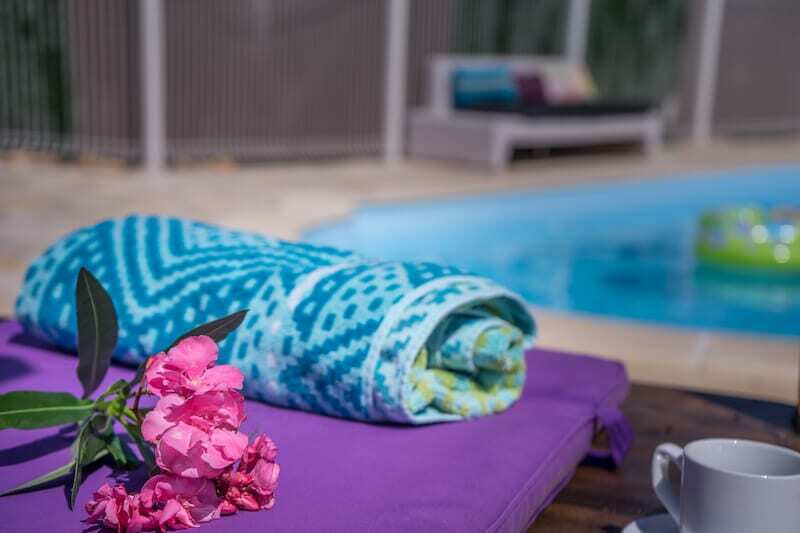 It’s actually quite liberating when you realise that you don’t need to mind your p’s and q’s – in fact it’s quite an important contributor to making your holiday that little bit more relaxing! We like to say that we are parent-friendly as well as child-friendly. This sounds gimmicky but is actually really important. We all love our kids and do all we can to keep them amused and happy, but sometimes as parents we lose out a little bit. 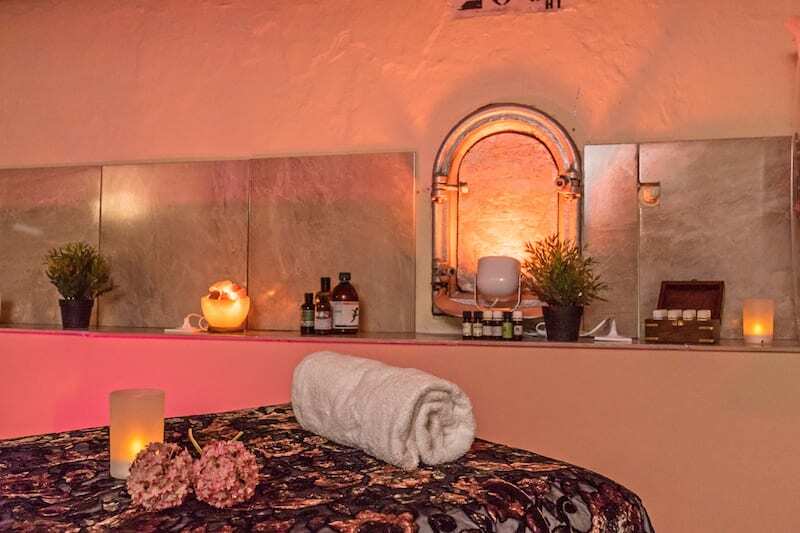 Whilst on holiday at Imagine Roussillon, take a bit of time to enjoy things for yourself – it might be just reading a book or having a late-morning coffee at the bar. 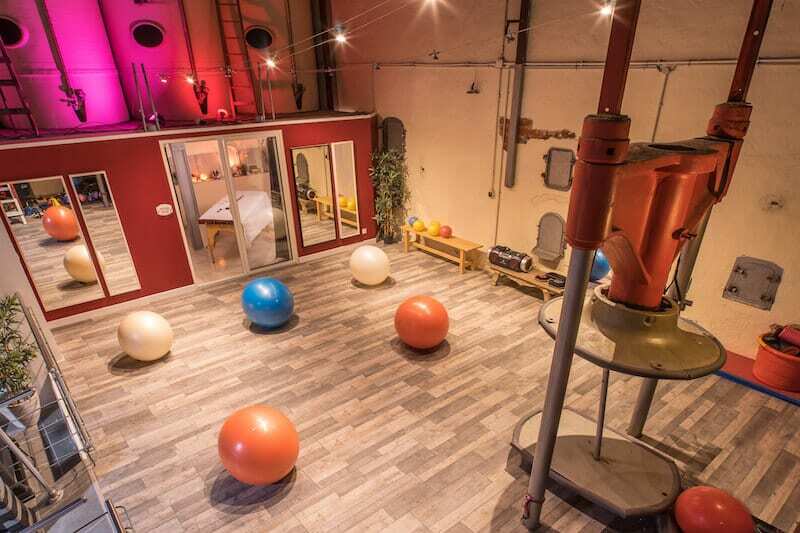 Or if a fitness class or massage is more your thing, we can organise that for you too. Southern France is a special place to take your holiday. But for you and your coastal kids, it’s important to be near the beach. 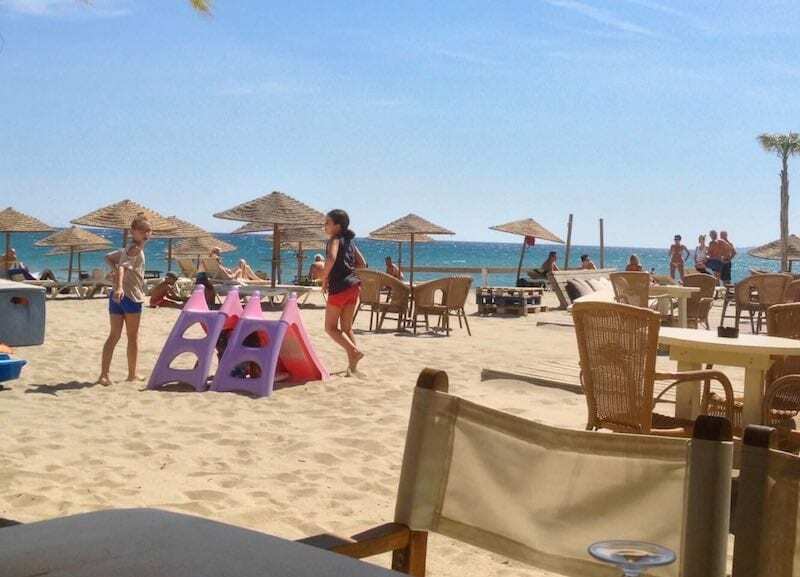 We are just 8 minutes’ drive from Canet Plage, one of the foremost resorts in Roussillon. When you return in the evening to your air-conditioned apartment, take in the landscaped grounds, the palm trees and the calm ambience. We have a gym, massage room and fitness centre on site.